Pinay In Texas Cooking Corner: Arby’s KING’S HAWAIIAN Sandwiches are BACK! Arby’s KING’S HAWAIIAN Sandwiches are BACK! 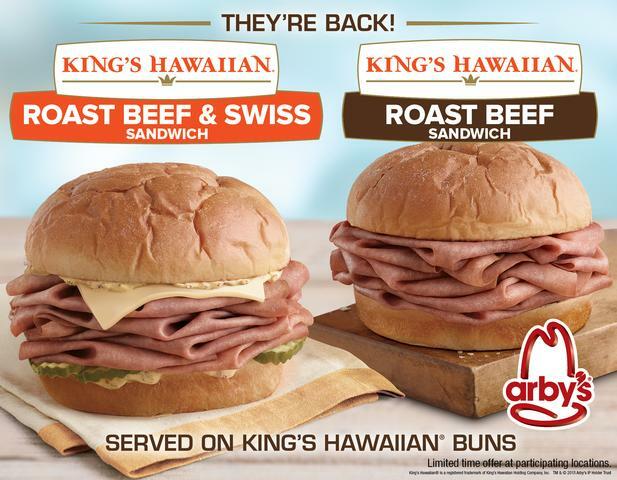 My family and I like Arby's a lot, and we are big fans of King's Hawaiian bread and rolls...so imagine how excited I was when I heard that Arby’s KING’S HAWAIIAN sandwiches are back! Yes, you read it right! Arby’s KING’S HAWAIIAN sandwiches have made a return to Arby's restaurants for a limited time. Served hot, and made fresh to order, there are two KING’S HAWAIIAN sandwiches to choose from. First is the Arby’s KING’S HAWAIIAN Roast Beef sandwich which comes with an extra helping of freshly sliced roast beef, piled high on a soft and slightly sweet KING’S HAWAIIAN bun...and second is the Arby’s KING’S HAWAIIAN Roast Beef & Swiss sandwich which comes with the same sweet bun and extra helping of roast beef but also includes Swiss cheese, crunchy pickles and creamy Dijon spread. We loved these sandwiches the first time they were introduced and we're all disappointed that they were only available for a limited time. Don't get me wrong, ok! Arby’s Regular Roast Beef Sandwiches are my family's favorite, but I must say that their KING'S HAWAIIAN Roast Beef Sandwiches are a lot better. The soft, slightly sweet and airy KING’S HAWAIIAN® sandwich bun just takes it to a new level. Were you able to try Arby's KING'S HAWAIIAN sandwiches when they first came out? Which one was your favorite? My two daughters love the plain Roast Beef Sandwich. 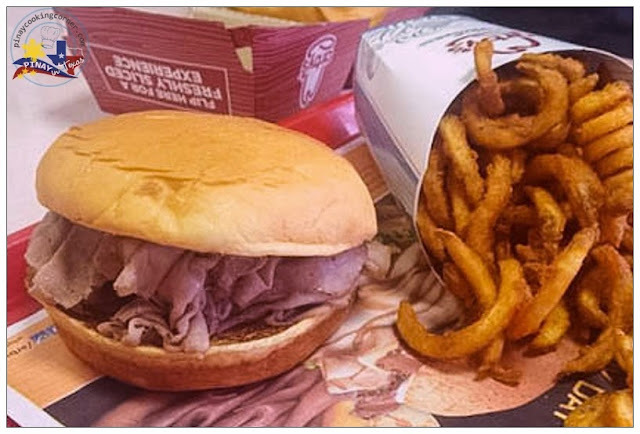 As for me and the hubs, we both prefer the Roast Beef & Swiss Sandwich, and we enjoy it with curly fries on the side. Perfect combo indeed! If you want to give these sandwiches a try, you better hurry! Remember, they are only around for a limited time again! Find an Arby's now so you can enjoy a big ol' bite of sweet and savory deliciousness! And don't forget to follow Arby's on Twitter to keep up with all the great happenings and promos. 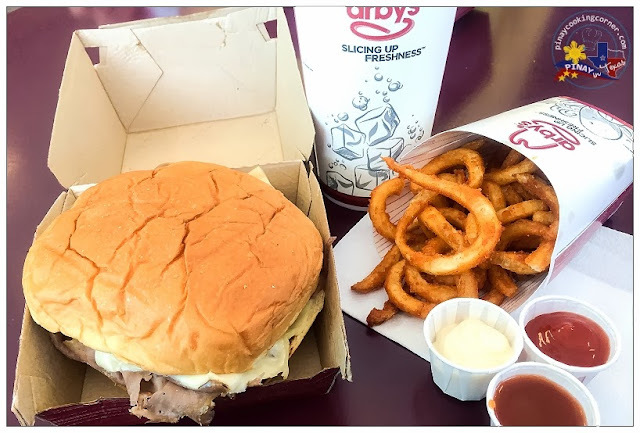 This is a Sponsored post written by me on behalf of Arby’s for SocialSpark. All opinions are 100% mine.